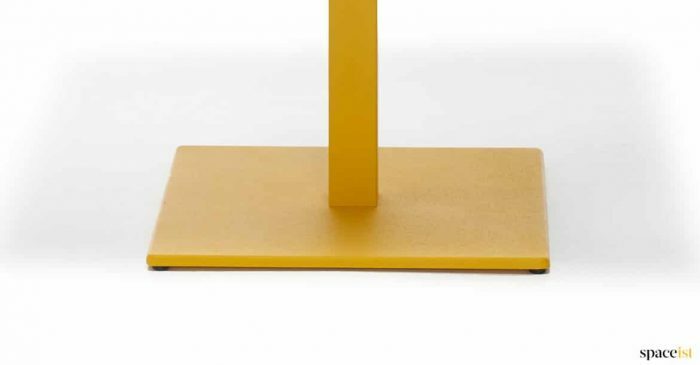 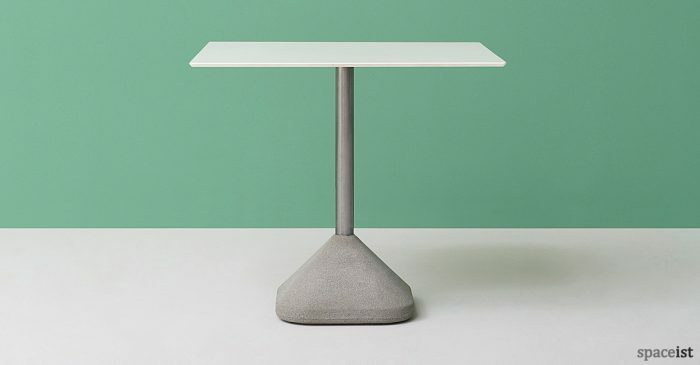 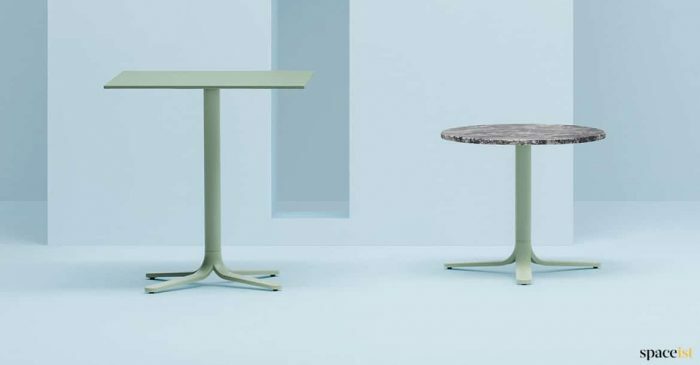 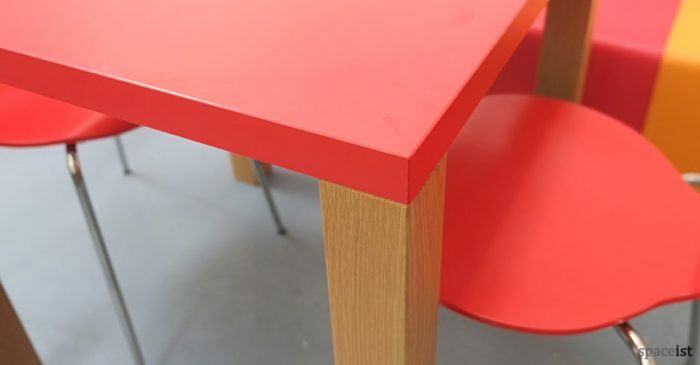 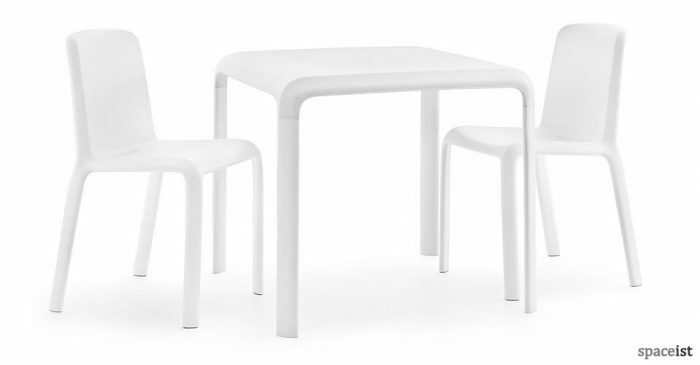 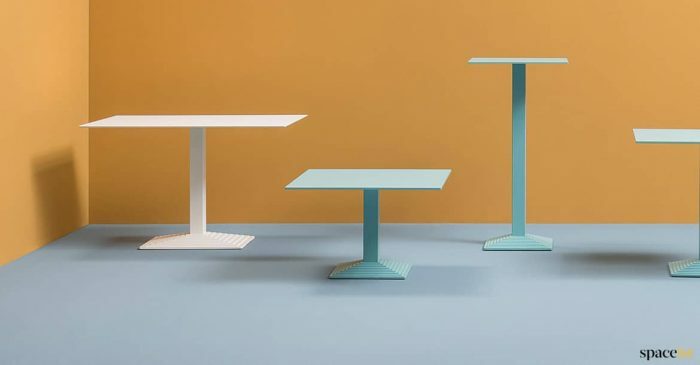 Stacking table in polypropylene with added fibre glass for strengh. 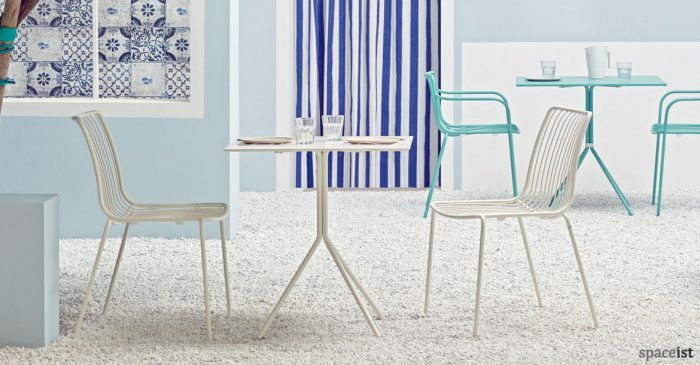 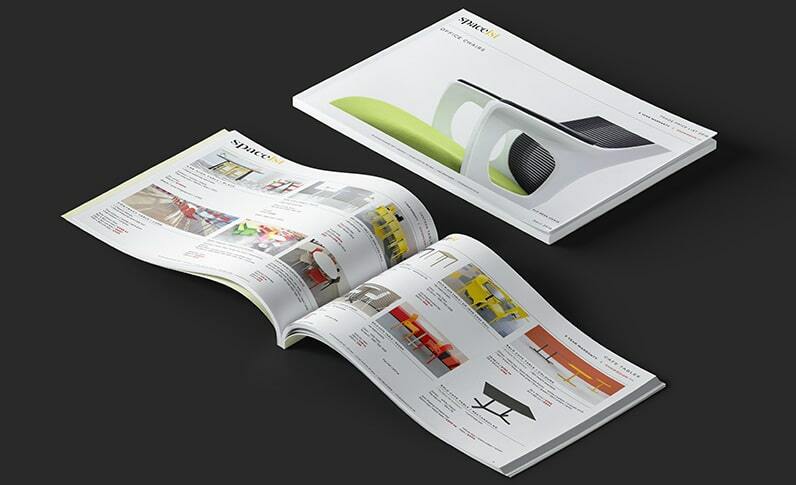 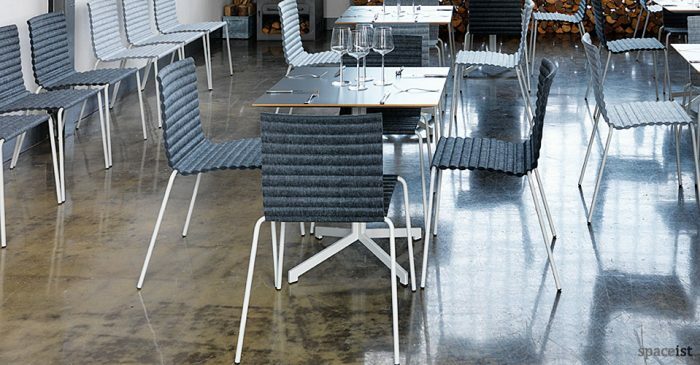 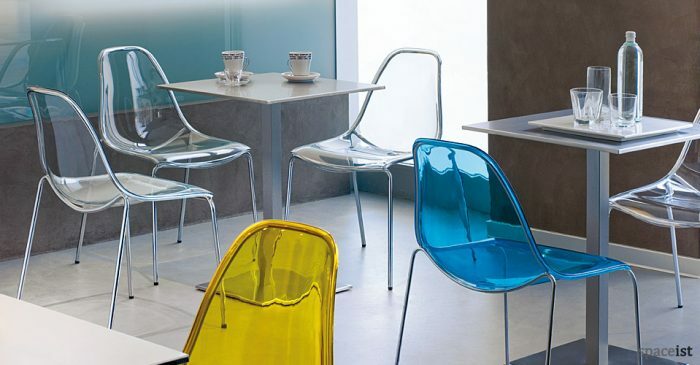 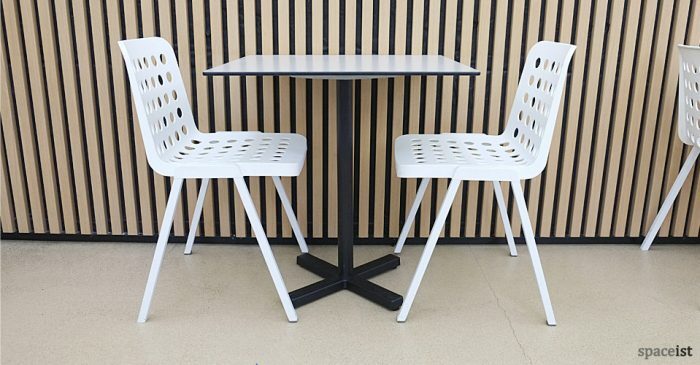 Matching cafe chair and suitable for outdoors. 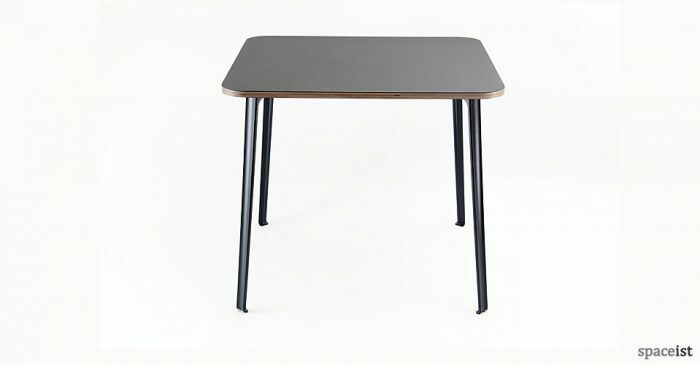 Industrial style cafe table with a 3 or 4 leg base. 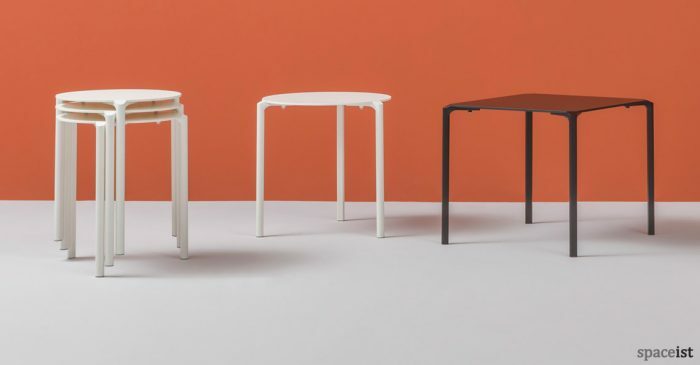 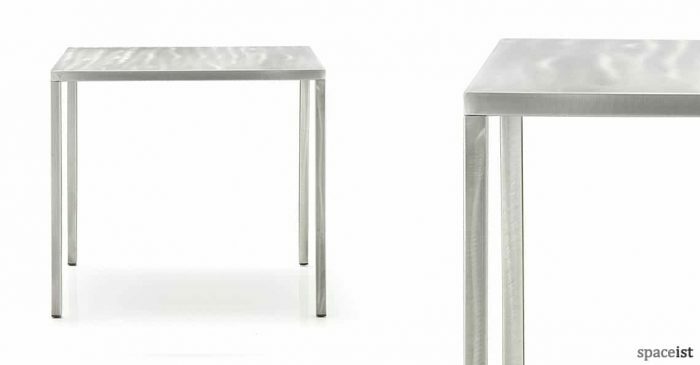 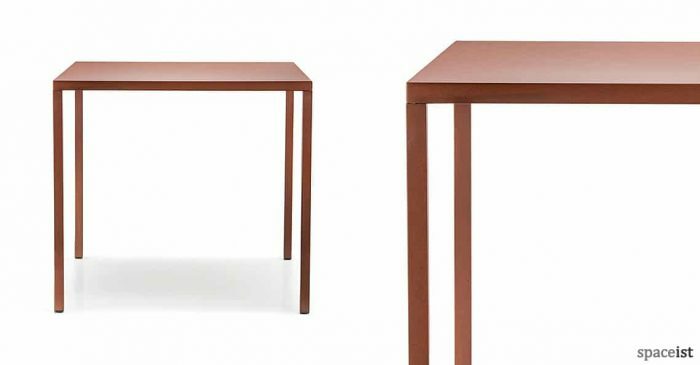 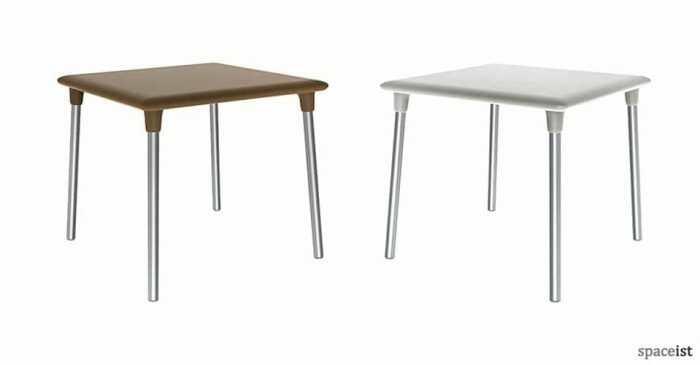 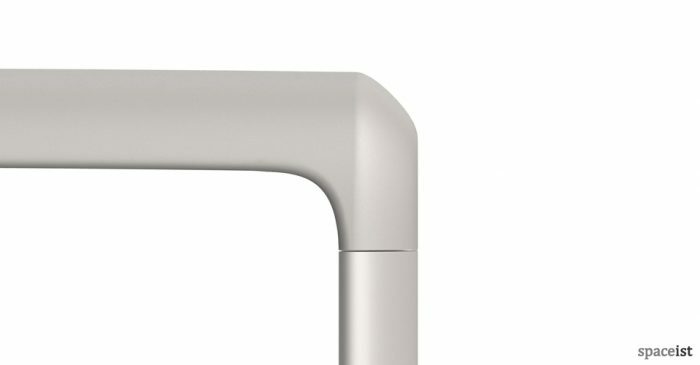 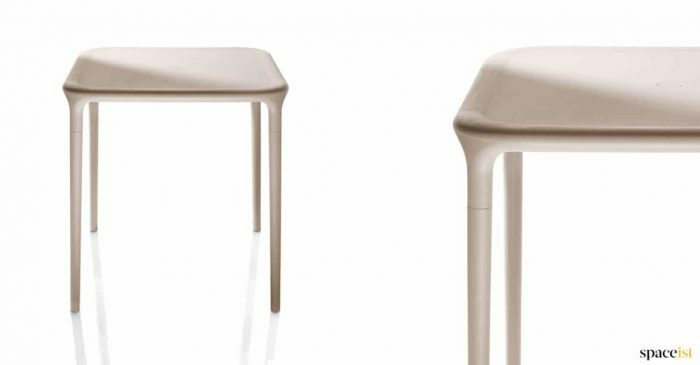 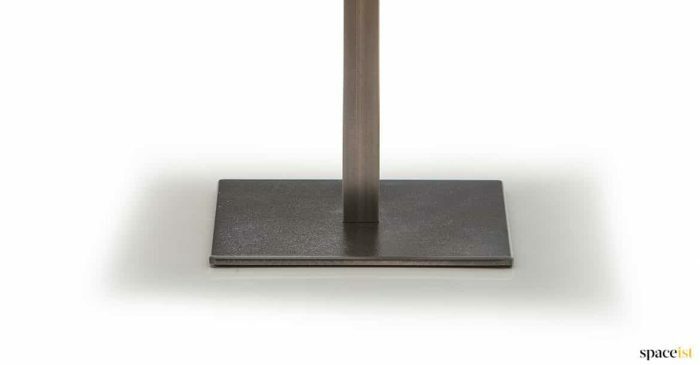 White, black, corten-rust or lacquered steel legs. 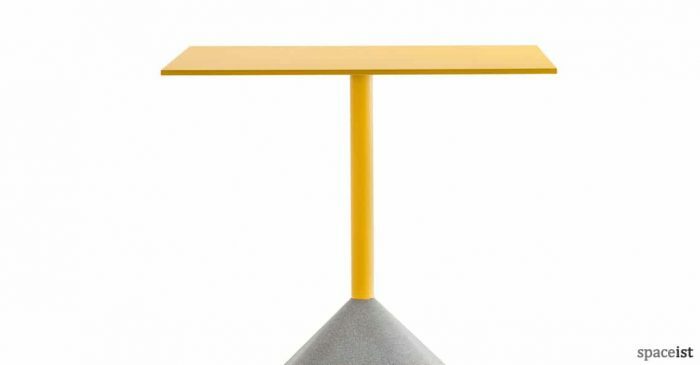 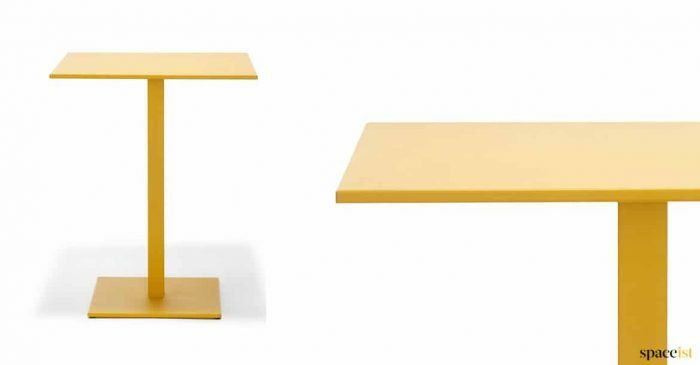 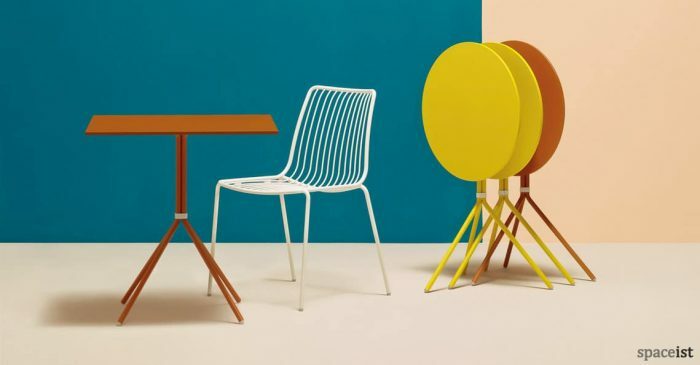 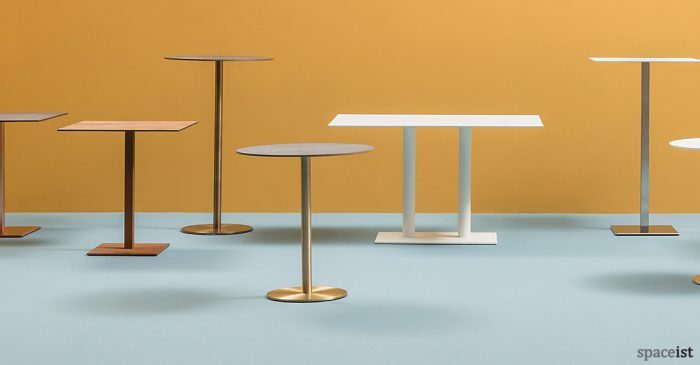 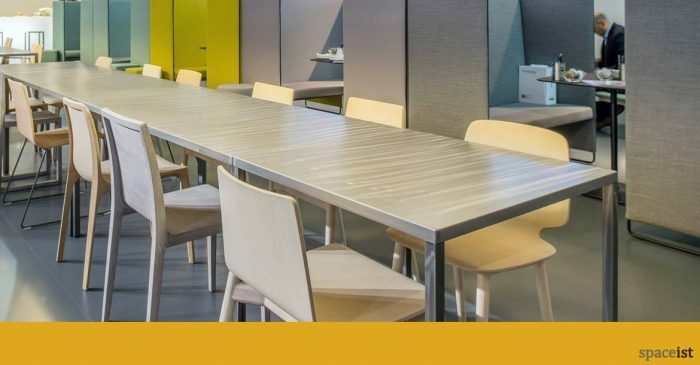 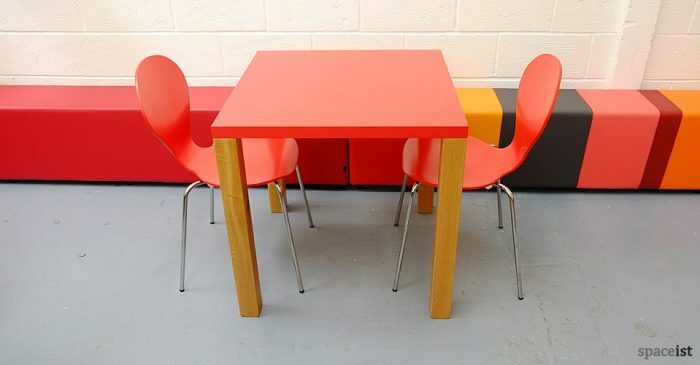 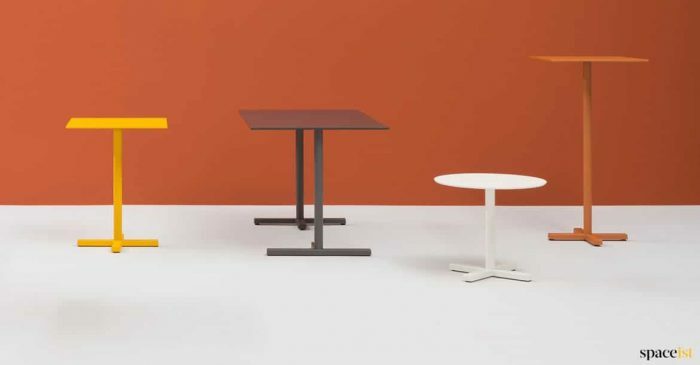 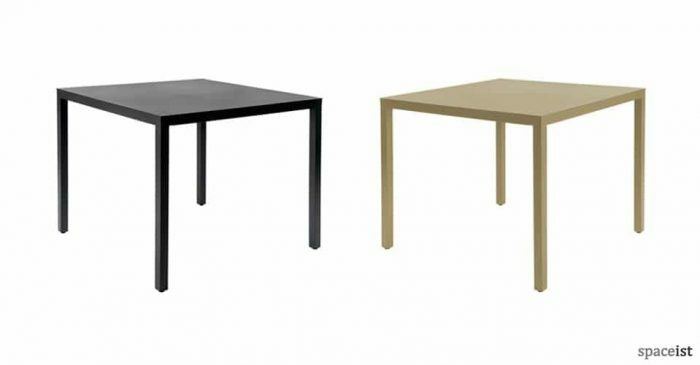 Colourful metal cafe table in white, yellow, orange-pink, red, brown, black, dark grey & blue. 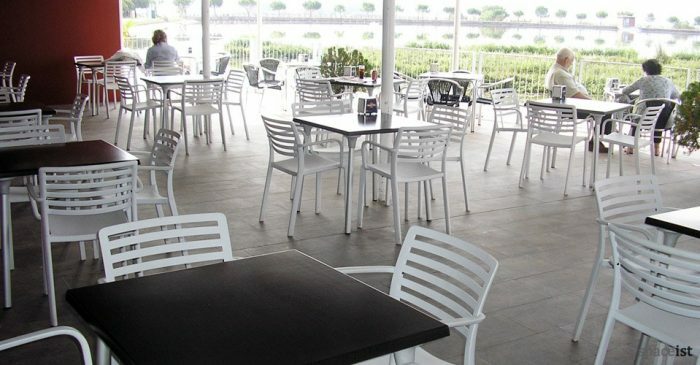 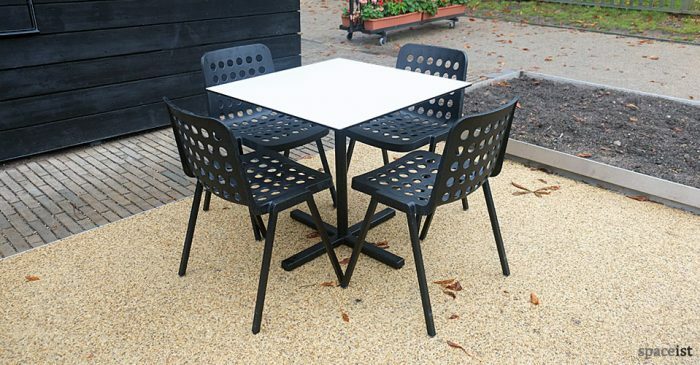 White & black indoor & outdoor cafe table with a solid laminate top & steel base. 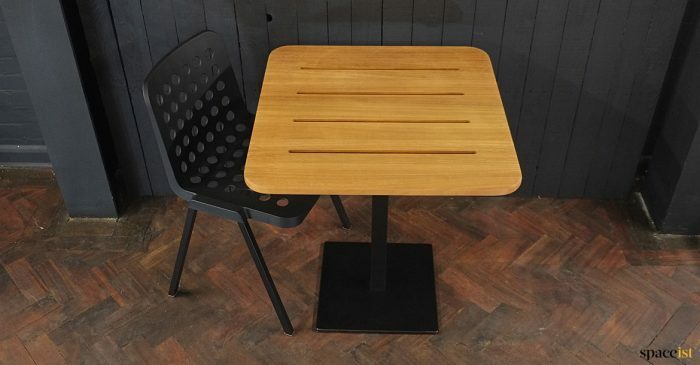 Industrial style cafe table in powder coated rust colour finish. 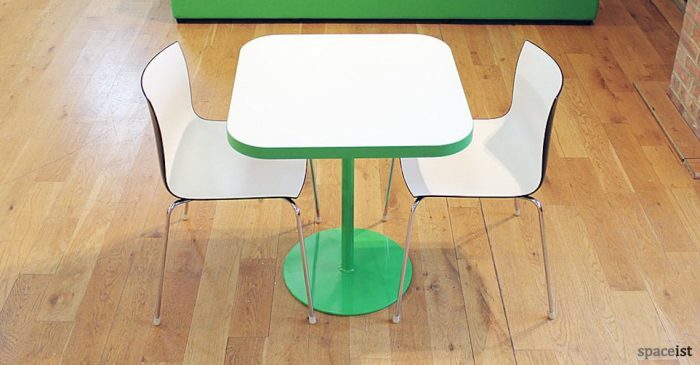 Table can seat 2, 4 or 6 people. 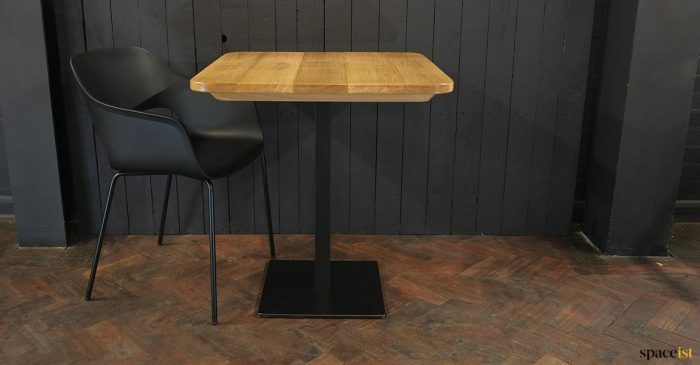 Square black cafe table with a black laminate top. 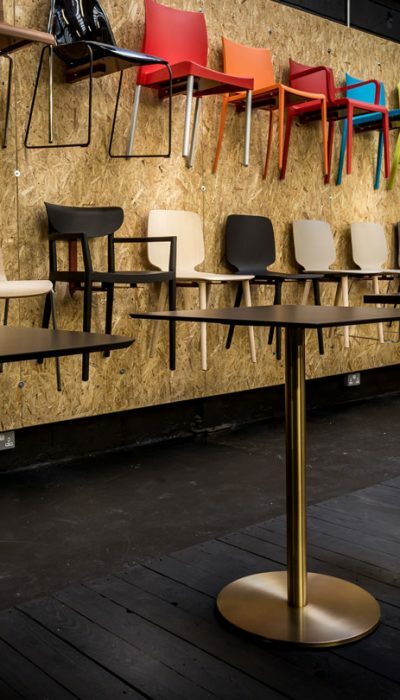 Shown with Osaka wood chairs. 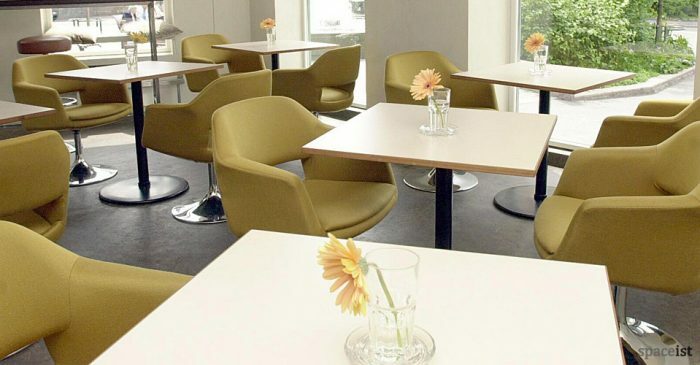 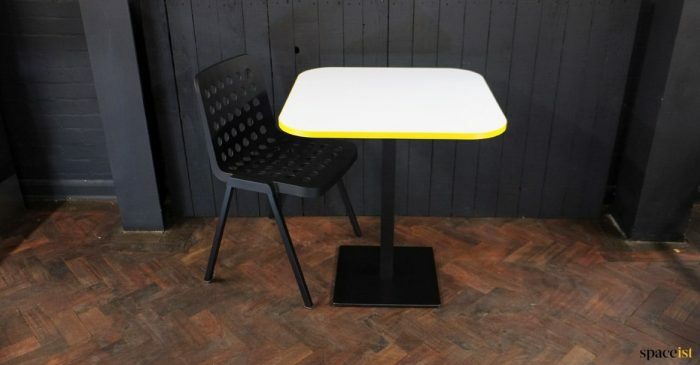 Colourful square cafe table in white, yellow, orange-pink, red, brown, black, dark grey & blue. 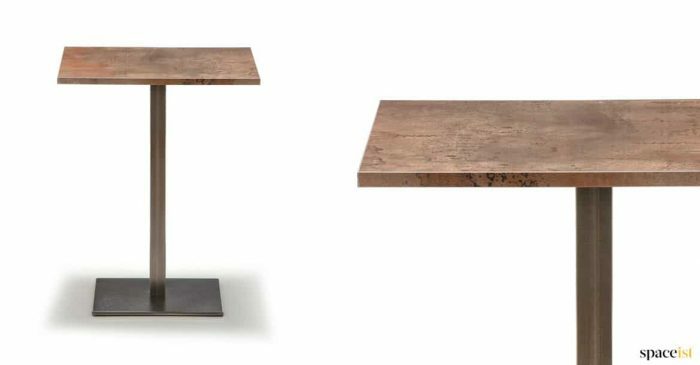 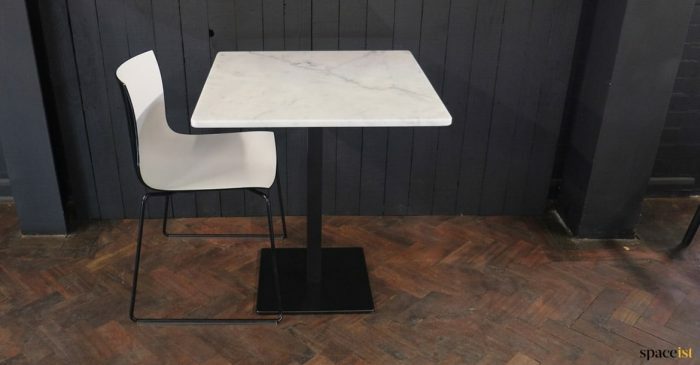 Industrial style cafe table with a cast iron base and steel column. 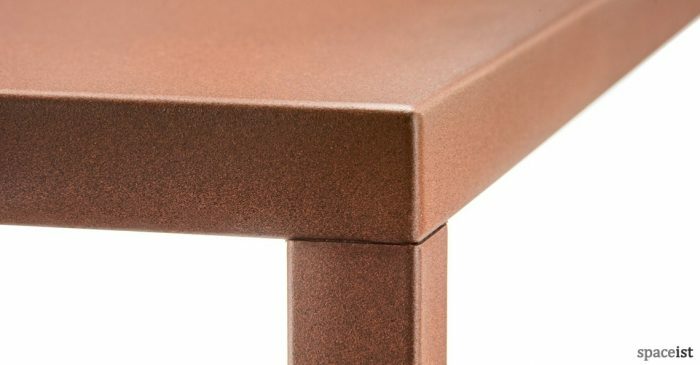 Corten style laminate top shown. 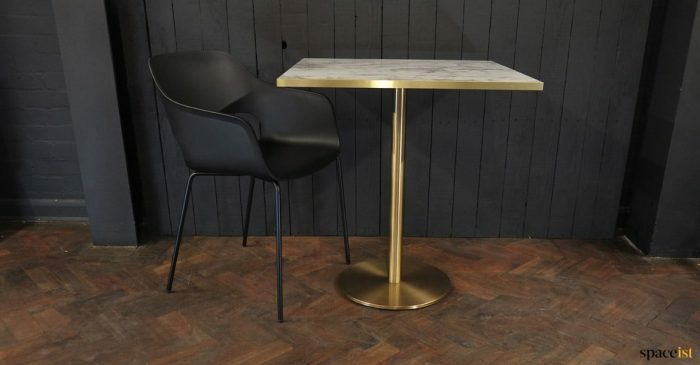 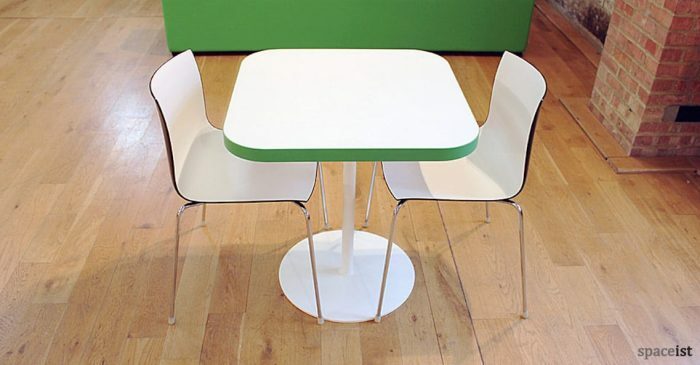 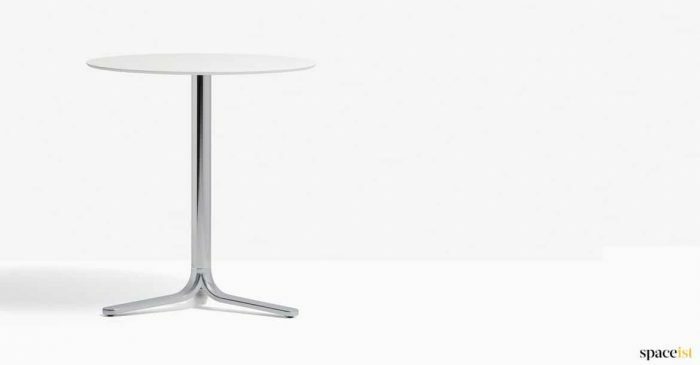 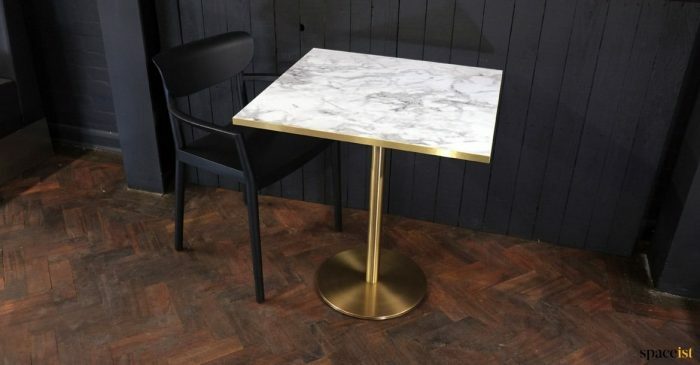 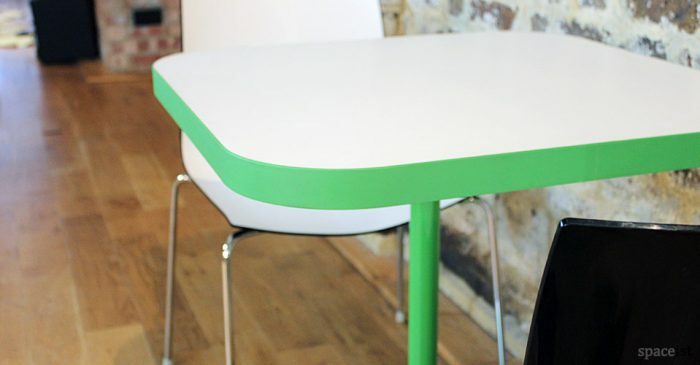 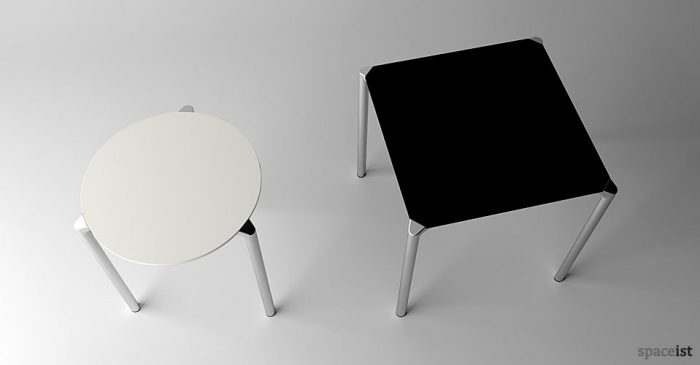 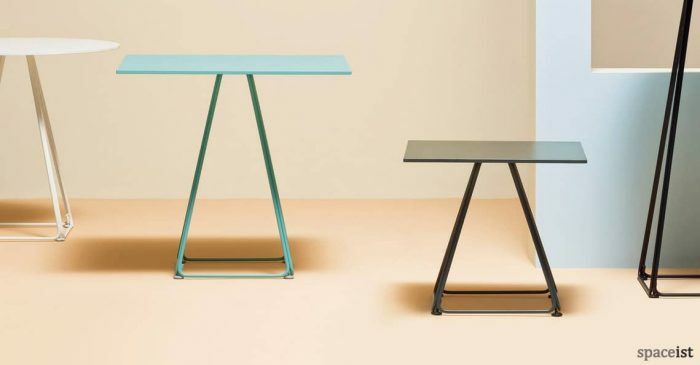 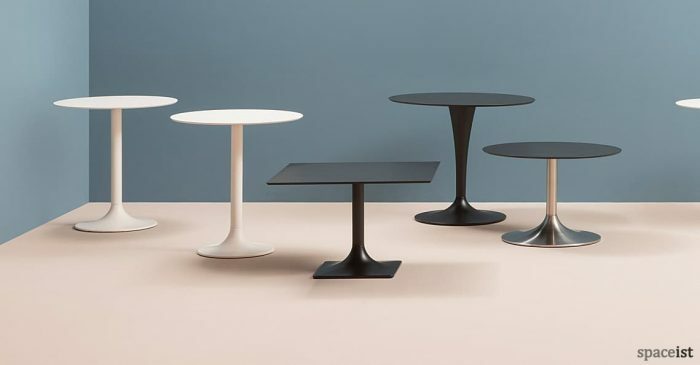 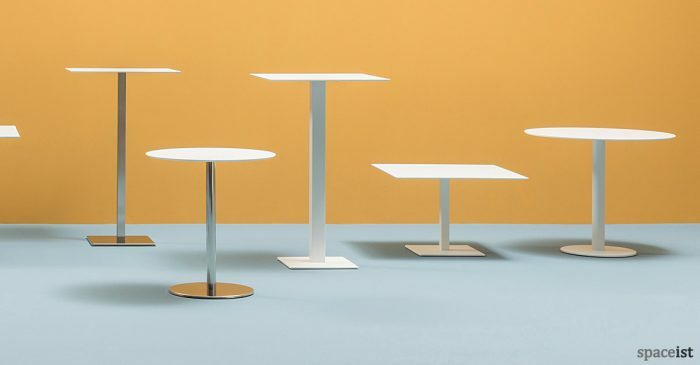 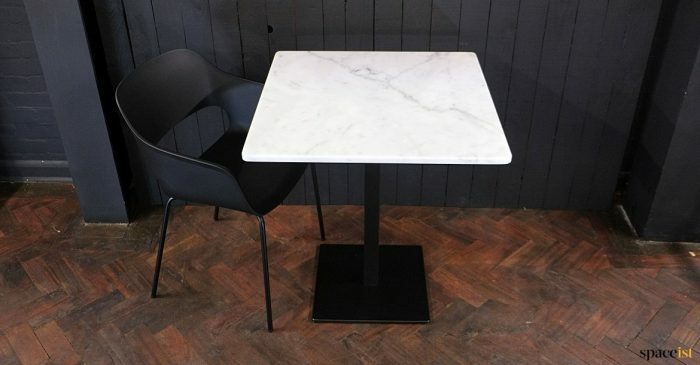 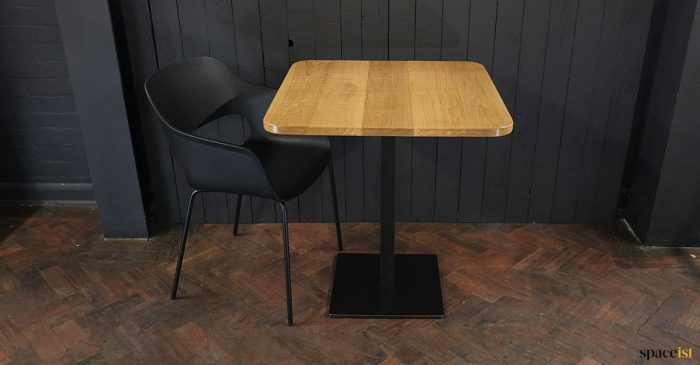 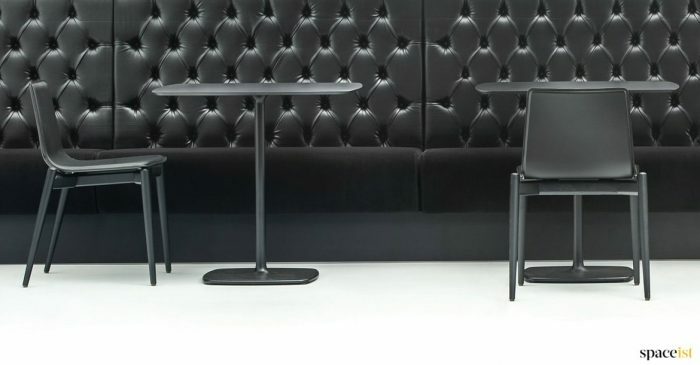 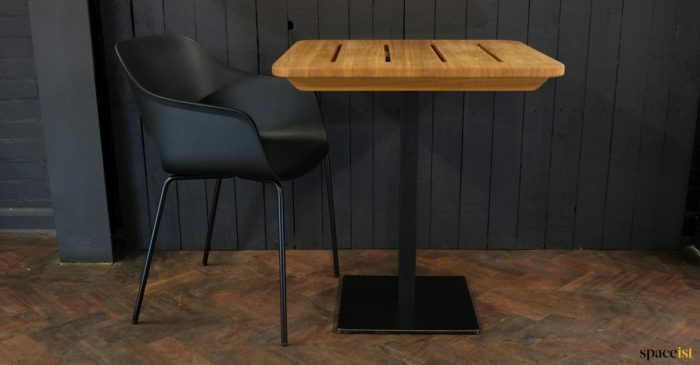 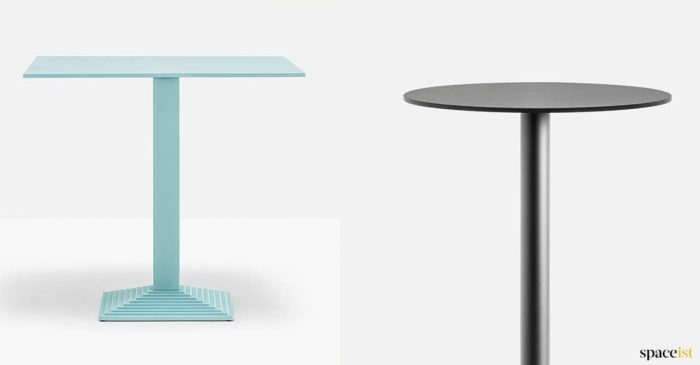 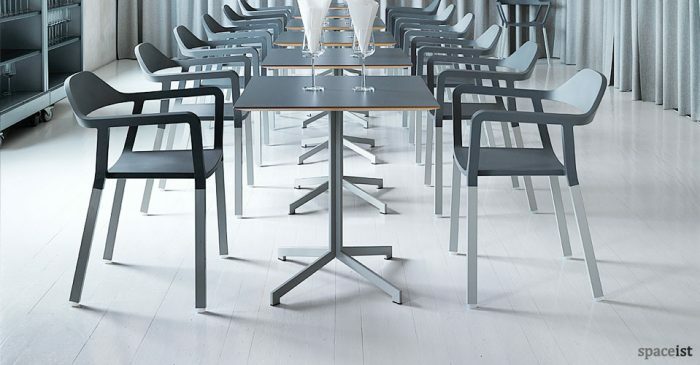 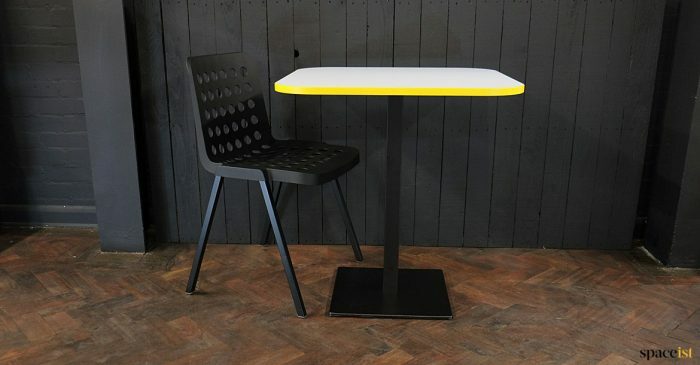 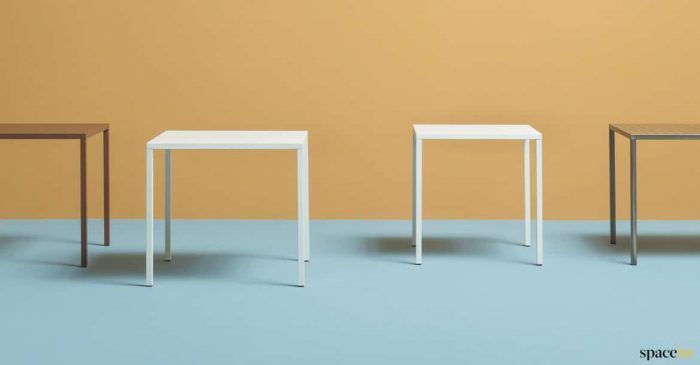 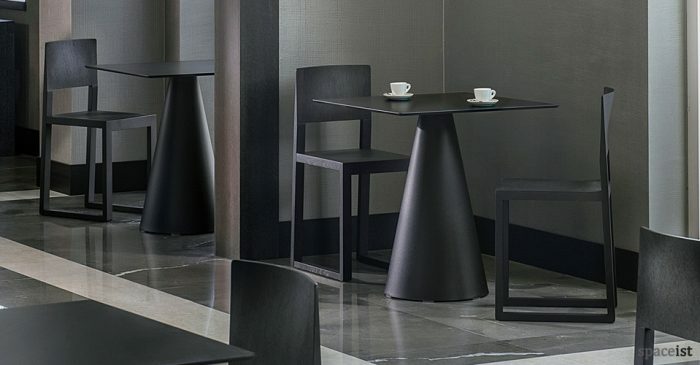 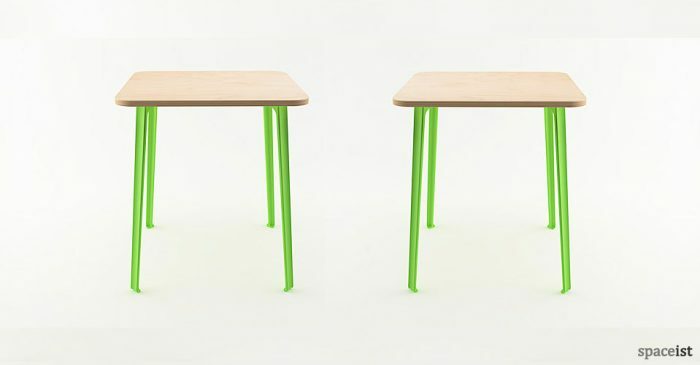 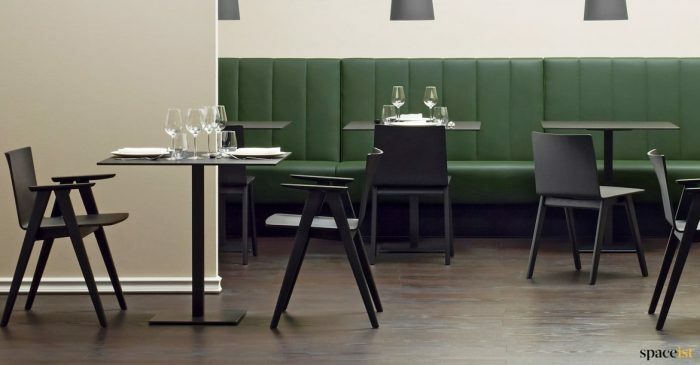 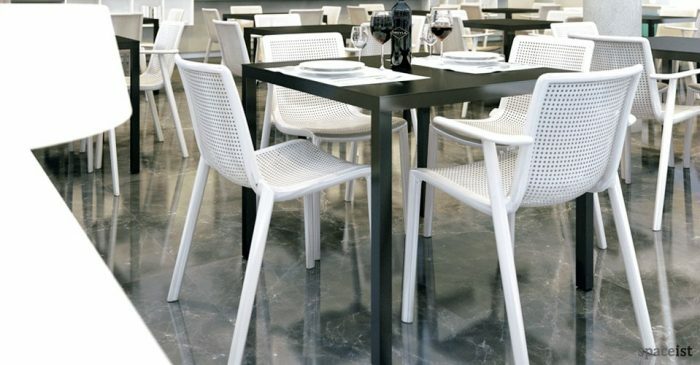 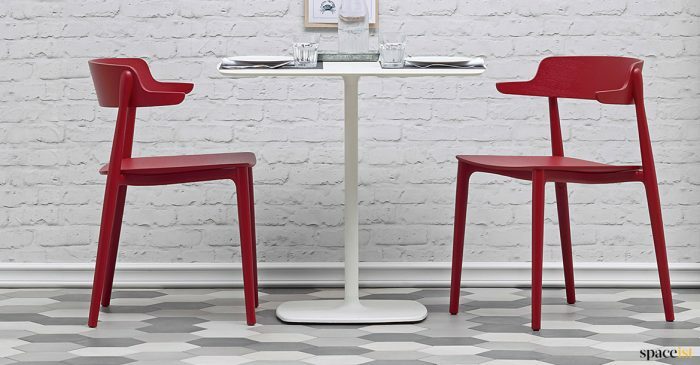 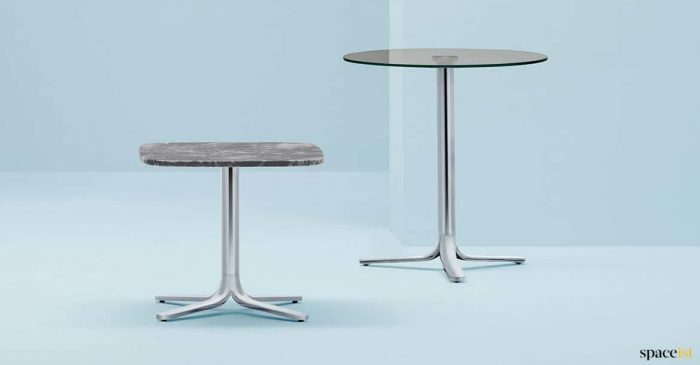 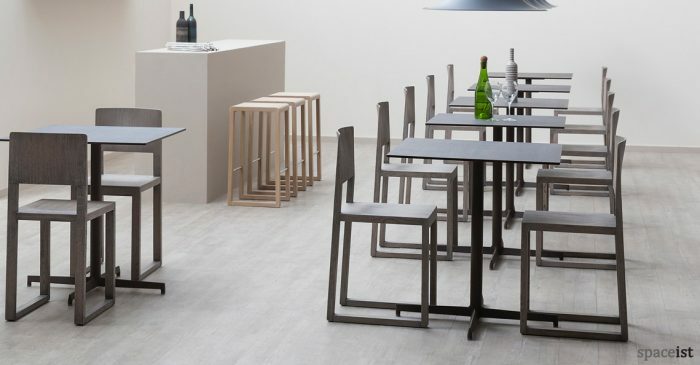 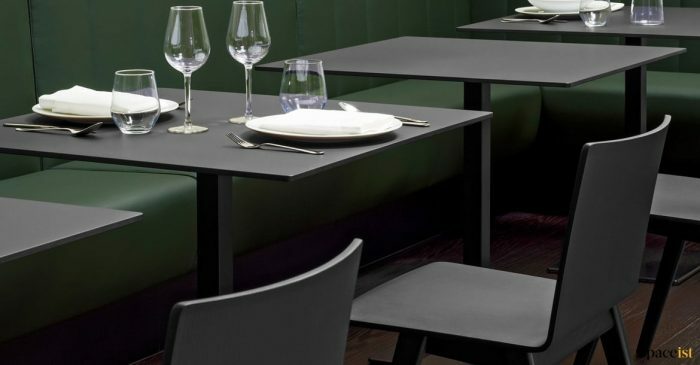 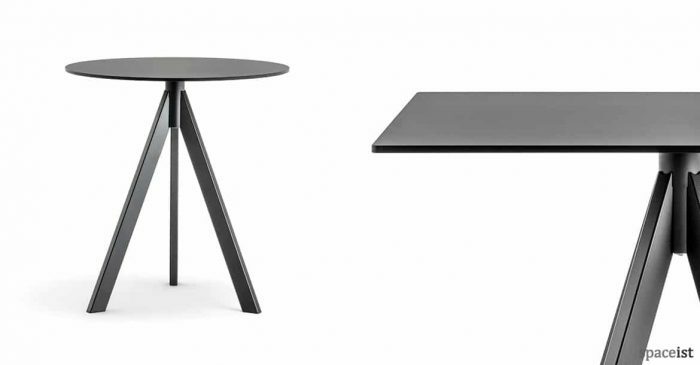 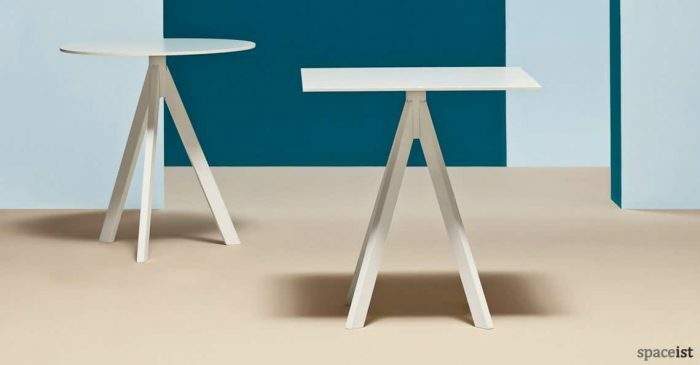 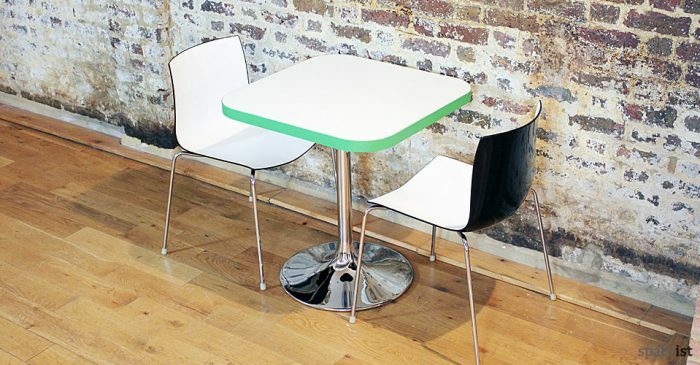 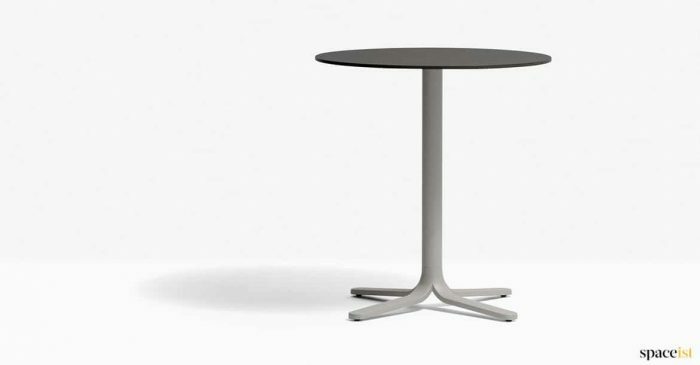 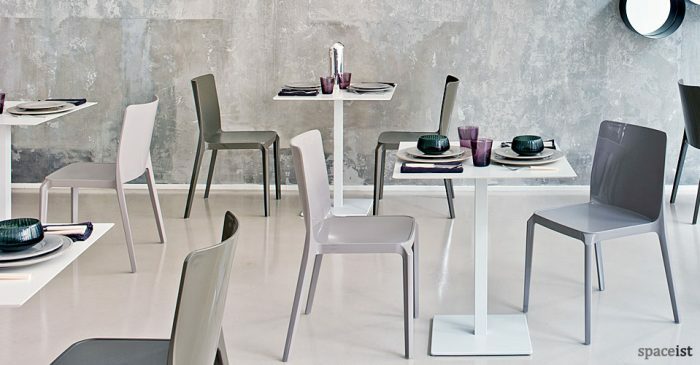 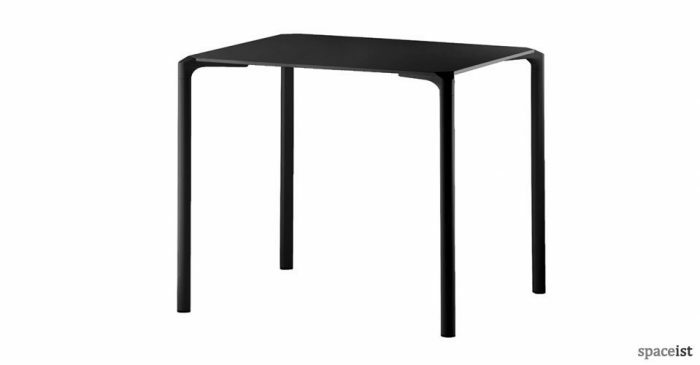 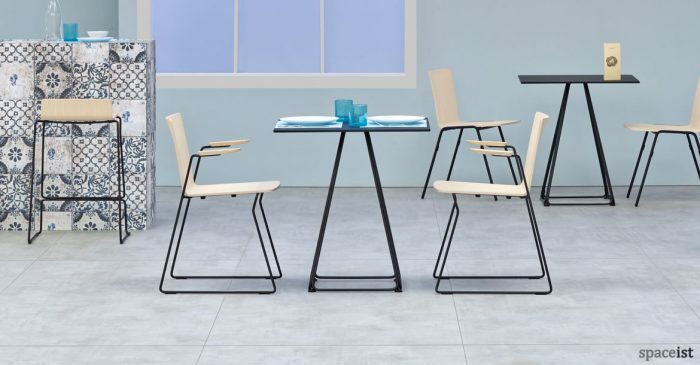 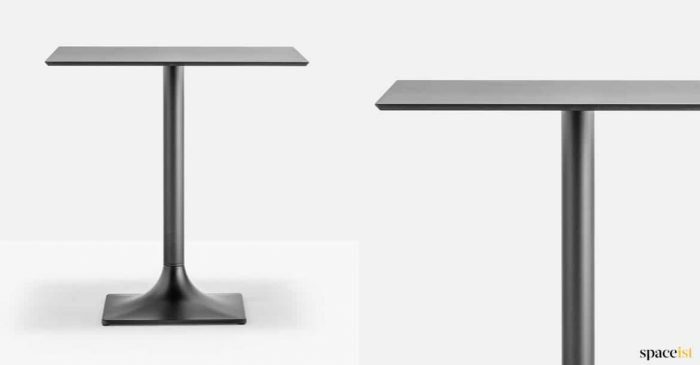 Black stacking cafe table with a laminate top & leg in black, white or aluminium. 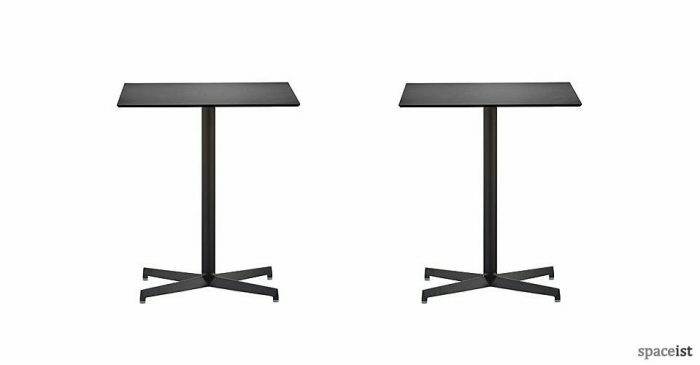 Stacks 5 tables high.